It’s been a while that I explore new classes or new studios/gyms in Kuala Lumpur, Malaysia, just for fun. 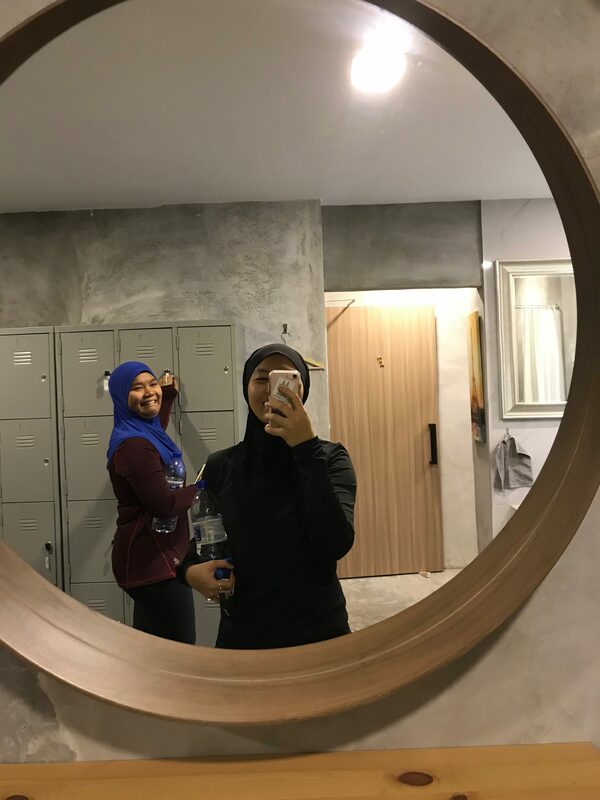 I am glad that Malaysia is slowly catching up with worldwide fitness trends, there’s loads of new work outs for you to try! 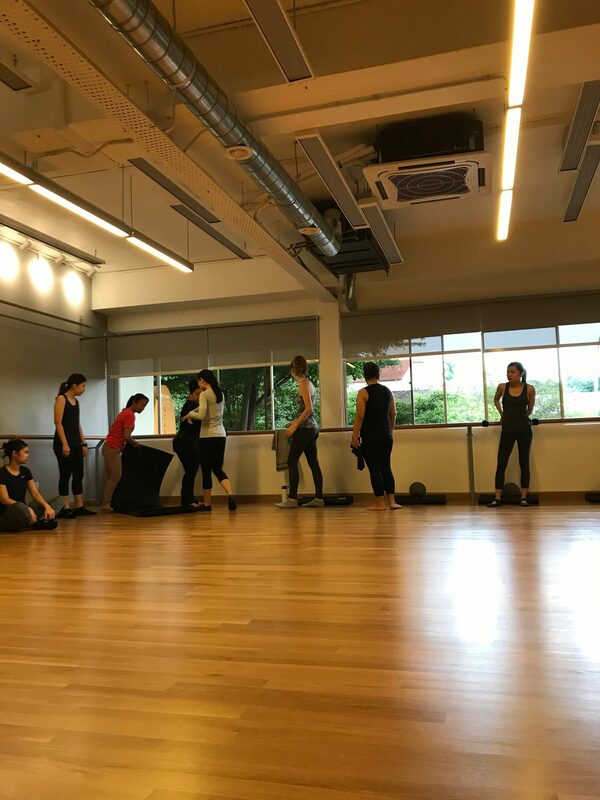 Last weekend, I attended an Xtend Barre class at Urban Spring, Bangsar, KL. The premier ballet barre workout. Xtend Barre brings in elements of dance, ballet and Pilates to create an adrenaline-fueled workout that strengthens, lengthens and chisels the body. In short, imagine ballet combined with pilates and body-weight exercises. Ladies will love it, because there are elements of choreography as well. For beginners, you don’t need heavy weights to tone up. The movement in this class relies on your own lunges, leg raises, or body elongation, very much like pilates. 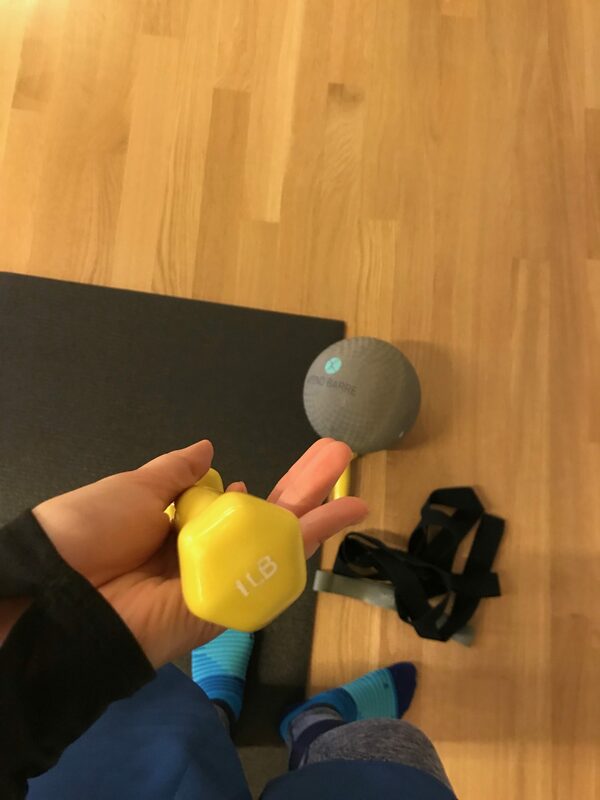 So, what do I do with this baby weights? If you are familiar with ballet, you will learn to appreciate the athleticism that is involved in the movement. From the first position to plie and every basic ballet movement in between, there is never a dull moment in this class. You will feel like you’re dancing, while doing pilates at the same time. Getting ready to work out. Most of the movement were about high repetition of small pulses. No complicated movements involved. To increase the burn level, the instructor used resistance bands. This depends on your fitness level. If you are used to body-weight work outs or have basic yoga/ pilates knowledge, then it’s an easy work out for you. If your body is used to high-repetitive work outs, you will need more sets to see results. Alternatively, join the intermediate or advanced classes. Don’t underestimate the small movements or the easy work out. It will still give you a good sweat and leave your arms shaking, but not sore. It elevated my heart rate slightly, but I was not panting and gasping like mad. The instructor has background in ballet and choreography, so she has many years of experience within the industry. We love the studio too. It has a relaxing, spa-like vibe to it. It is also well-equipped with accessories required for an Xtend Barre class, so you don’t have to bring anything besides non-slip socks. Ladies, if you are looking for a stress-free, low-impact work out, Xtend Barre is for you.